Jill Jekel has always obeyed her parents' rules - especially the one about never opening the mysterious, old box in her father's office. But when her dad is murdered, and her college savings disappear, she's tempted to peek inside, as the contents might be the key to a lucrative chemistry scholarship. To improve her odds, Jill enlists the help of gorgeous, brooding Tristen Hyde, who has his own dark secrets locked away. 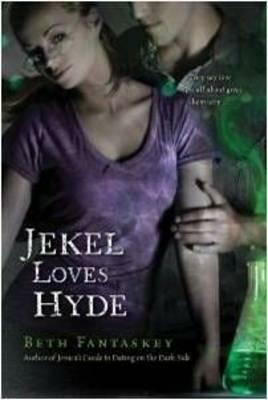 As the team of Jekel and Hyde, they recreate experiments based on the classic novel, hoping not only to win a prize, but to save Tristen's sanity. Maybe his life. But Jill's accidental taste of a formula unleashes her darkest nature and compels her to risk everything - even Tristen's love - just for the thrill of being ...bad. BETH FANTASKEY lives in rural Pennslyvania with her husband and two daughters. She is the author of Jessica's Guide to Dating on the Dark Side.